I had posted before how I used VPNc at my last company. 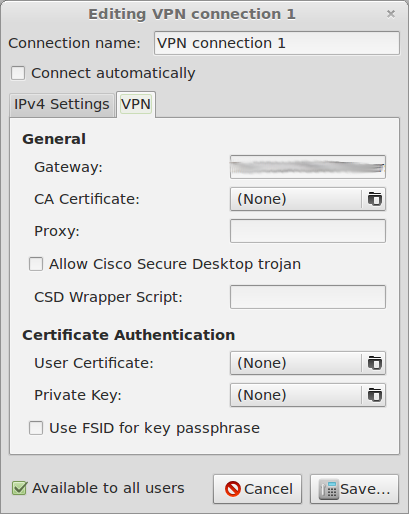 I have since moved on to a different company where they use Cisco AnyConnect as the VPN client. 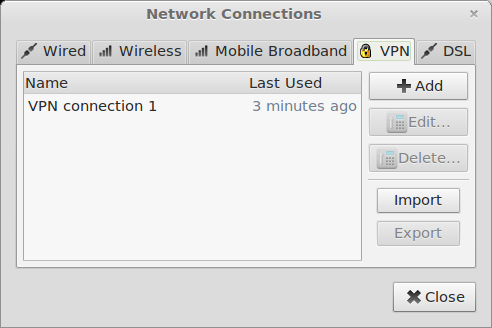 For the past few months I have been using AnyConnect for Windows not really thinking I could get the client for Linux. Out of the blue this evening I decided to search for an alternative I could use and I found this post, which was very helpful. To break it down, this is how it is done. 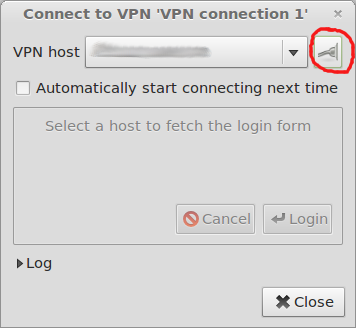 Once that is configured you should have a VPN selection in your network icon in the panel, select it to connect to VPN. Red meaning disconnected, green for connected. 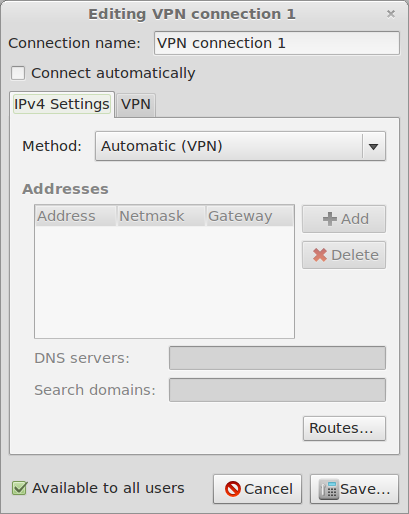 To establish a connection a window will open for the VPN connection displaying the IP (or host name) of the VPN gateway. Select the connect button indicated in the red circle in the picture below. Once a successful connection is established a prompt for you to accept the certificate will open (should only prompt once). Once you accept you should then be prompted to enter your username and password. Provided you entered the correct credentials, you will then be connected. Aside from having to figure out the correct means of entering the gateway information my company provided to me the configuration was surprisingly simple.